One of the questions we get asked quite often at QuickSchools is, “Do you guys do State Reporting?” The short answer is “We can”. Every state has its own reporting requirements that change from year to year. We can work with individual schools to get this reporting requirement squared off. 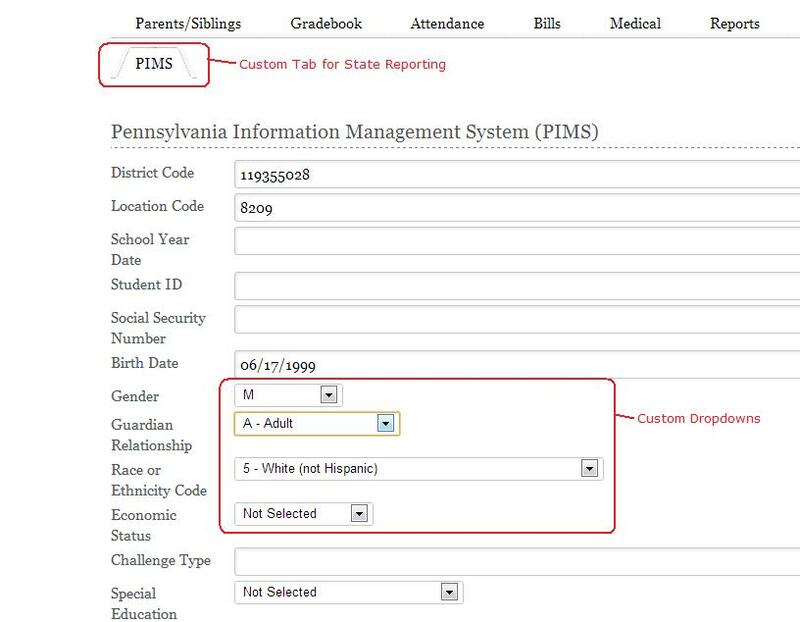 As an example, here we discuss our recent state reporting implementation for Pennsylvania called PIMS. All of the customization discussed below is done by our technical staff, once we receive the reporting requirements from the school. As you can see, we can create custom fields in the form of text fields, check boxes, radio buttons and even dropdowns. The dropdowns are especially helpful, if you want to select something descriptive, but output a short code for the report. 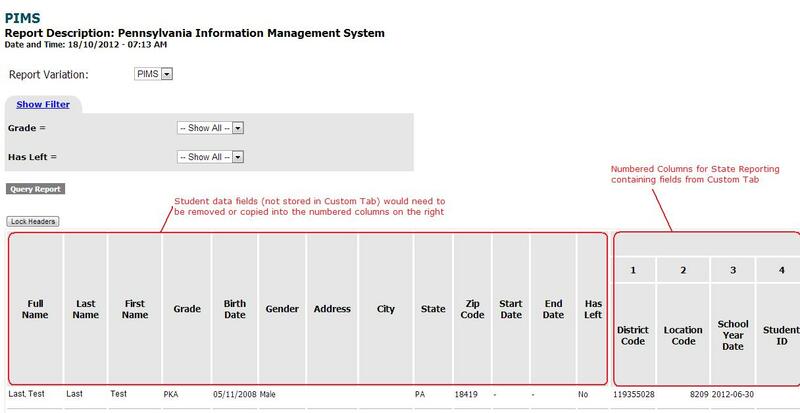 For example, the dropdown may say “A – Adult” but the state report will only show “A”. Once the custom tab is ready, the school can start storing information about the student, which would then be reported to the state. But how do we get the saved student data into a reportable format? Once you’re satisfied with the basic report, you can export it to excel and perform further manipulation, to move columns around etc. Excel is the most versatile medium for quick data manipulation, for just this sort of thing. And you can also save your Excel file into other formats, like CSV or Flat Files, depending on the state. If state reporting requirements are important to you, please chat with us about it. We look forward to any feedback you may have as well.